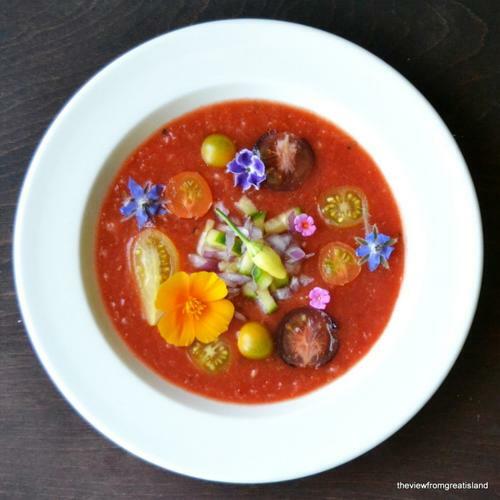 Gazpacho, the cool and creamy Spanish tomato soup, is simply divine during the summertime. Cold soup sounds counterintuitive but once you give it a try, you'll be making them all the time. Think of gazpacho as a pureed salad. A variety of raw vegetables (and sometimes fruits) are pureed until the mixture turns into a smooth and silky soup. You can garnish the gazpacho with chunks of vegetables. If you're new to gazpacho or cold soups in general, make one of these delicious recipes. This cold tomato soup is traditionally flavored with red bell pepper, garlic, onion and a generous amount of olive oil. Bread thickens the soup without adding richness. This allows you to taste all the bold flavors individually instead of being masked by cream. Not all tomatoes are red and therefore neither are all gazpachos. This version pairs yellow tomatoes with sweet corn to make a gazpacho that's both nutritious and delicious. Plus it's ready to eat in just ten minutes. Fruits and vegetables that co-exist in the same season seem to work nicely together in the kitchen too. 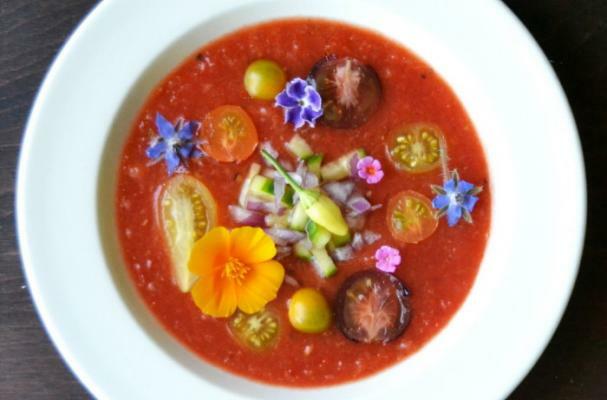 Tomatoes and watermelon, although seemingly opposite, compliment one another, especially in this gazpacho. 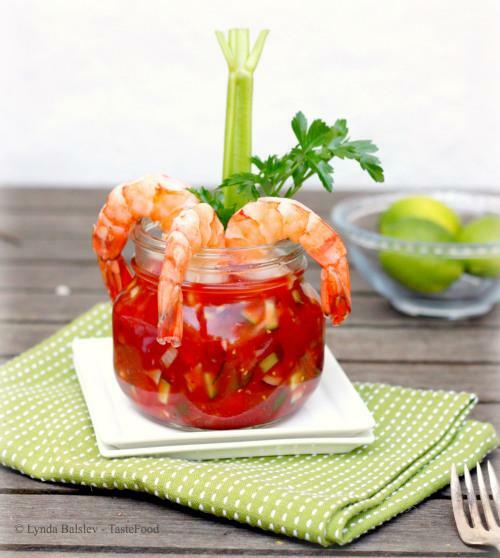 A twist on shrimp cocktail, this bloody Mary gazpacho is packed with heat and flavor. Although this recipe is missing the vodka, feel free to add a splash or two to the dish. Early girl tomatoes are a bright red, meaty, full-flavored tomato that make it the perfect base for gazpacho. Roasted red peppers are added to the soup to brighten the base without overpowering the tomato flavor.